Mara and Artoo. I think they are near yodas home pagina. 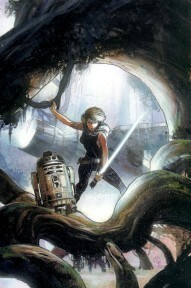 Wallpaper and background images in the Mara Jade Skywalker club.